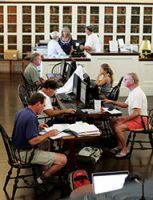 The Nantucket Historical Association Research Library is a special collections repository of primary resources focusing on Nantucket history. Their collections contain more than 5,000 volumes and 50,000 photographs, as well as archival documents such as ship’s logs, account books, family papers, and ephemera. 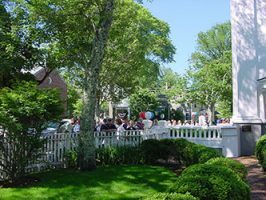 They own an extensive art and artifact collections relating to all periods of Nantucket history and its whaling history. These are displayed at the Whaling Museum and the NHA’s various historic properties. 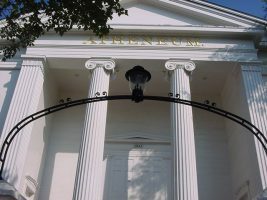 The Kendall Whaling Museum Archive contains documents, publications and photographs related to the history of the Kendall Whaling Museum in Sharon. The museum was founded in 1955 by Henry P. Kendall, who had been collecting whaling-related materials since the 1920s. 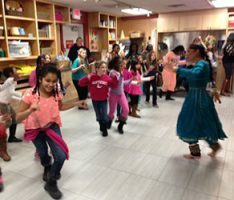 The New Bedford Whaling Museum has been collecting historic artifacts, documents, books, and photographs for over 110 years, it is not surprising that their collections today are large and diverse, comprised of approximately ¾ million items. 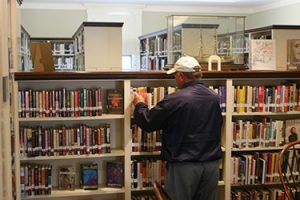 A research library specializing in American maritime history, the G. W. Blunt White Library at Mystic Seaport; seeks to collect, preserve, and make available all manner of materials documenting maritime life at sea. Subjects of the collection include, but are not limited to ships (passenger ships, merchant marine, ocean liners, Coast Guard, naval, and pleasure), immigration, yachting, voyages, women at sea, crew lists, whaling, exploration, and discovery. In addition, the G.W. Blunt White Library also contains more than 3,000 rare books.